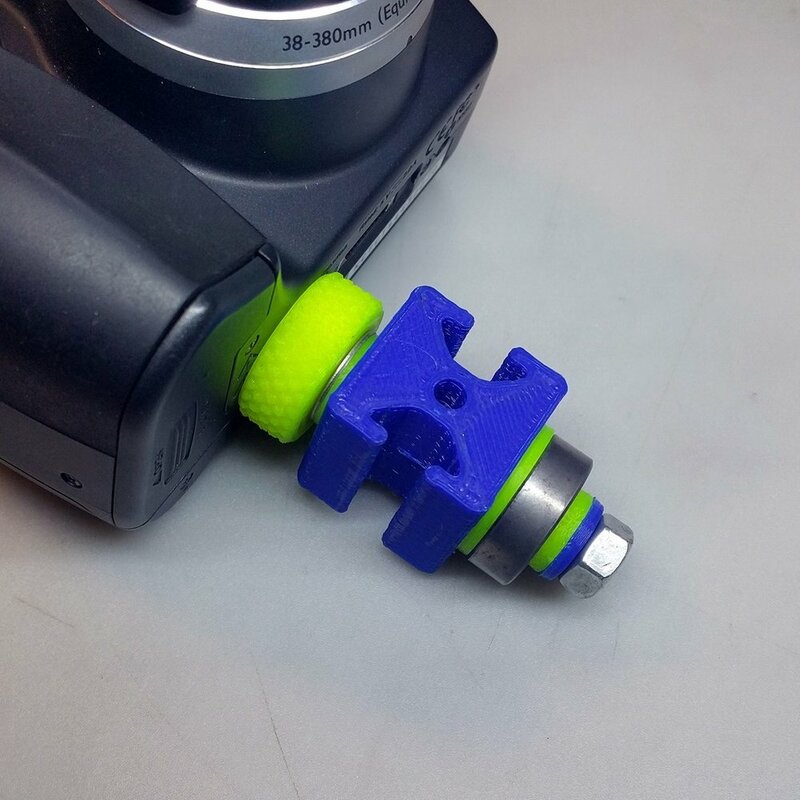 This was an adaption of the Pass-thru Constant Force Joint for a 1/4-20 Camera mount and suggested by u/oddworld19. It involved some tricky changes to switch from the 5/16" Bolt to the 1/4" Bolt. There is a coned washer to align the 8mm Bearing Inner Raceway with the 1/4" bolt and a new Constant Force Joint Washer with a 1/4" center hole. The 8020 Quick Mount block has 1/4" thru hole. Finally a 1" OD x 3/8" THK knurled Thumbscrew tops it off. You can find my full write up on Constant Force Joints here. You can get the files here: on my Thingiverse page. Assembly is quick. Thread it in and tighten the knurled knob. The camera fits right into the phone stand I showed off on the Constant Force Joint page. Static shot of the camera + stand. Rear shot of the camera + stand. BOM of the Build. You can find this with the part files on my Thingiverse page here. A 1" Long 80/20 1010 Aluminum Extrusion can replace the quick mount block. Just drill a pass-thru hole the same size as your bolt. Apollo naps on the stairs.